Suited to ‘on-view’ ceiling mounting applications or directly against a wall, where the available height above the door is limited. 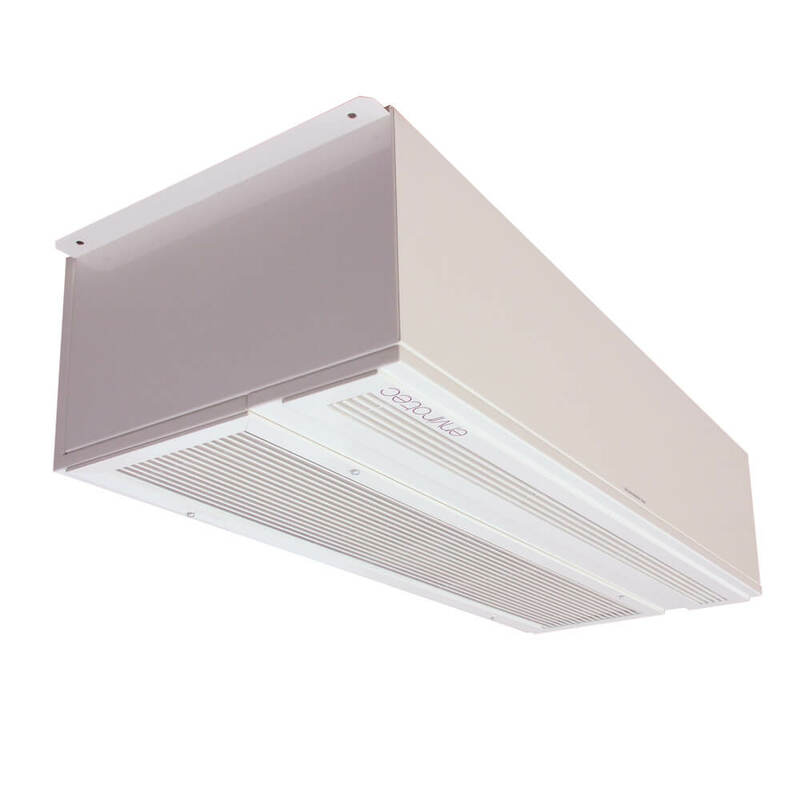 The Spacesaver’s versatile design enables the return air to enter either the rear or underside of the unit via a multi-position grille assembly. Supply air is via a fixed linear grille.